BigDish is a London listed food tech company. The company owns an online restaurant reservation platform that began in Asia and is currently pivoting fully towards the UK, and provides a yield management solution for restaurants. The platform offers a dynamic pricing and allows restaurants to drive traffic to the restaurant at times that they want. 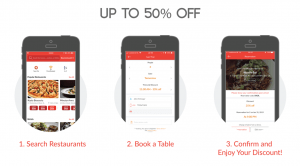 Through its platform, BigDish has found a way to optimize the slow business hours of restaurants through increasing customer discounts for those times.BigDish aims to fill restaurants’ empty tables with hungry customers. Through its online reservation platform, users can enjoy discounts of up to 50%. 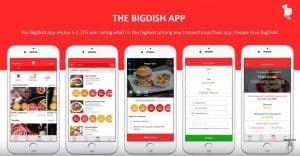 BigDish is set to disrupt the restaurant Sector with its yield management App.BigDish app is available for iOS and Android. Saving money on dining out is easier than ever with the free Bigdish app. The app is easy to use, once you have downloaded select your restaurant, and make a reservation. With just 3 taps you have an instantly confirmed booking. Restaurants can offer a level of discount (up to 50%) to customers dining at a specific time, even the best restaurants have empty tables. August 2018 acquired Pouncer, the owner of a UK based restaurant TablePouncer.com, use Pouncer to find and book last minute tables, with great deals, at the best restaurants in your city. It’s online, real-time and simple to use, Pouncer provides the foundation for expansion in the high-value UK market. Bigdish’s aim is to make eating out more affordable, therefore encouraging people to eat out more often, and as a result, helping the restaurant industry as a whole. 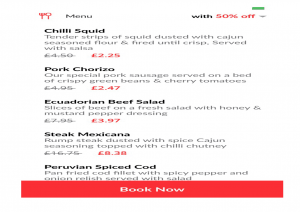 The UK launch in Bournemouth announced on 16 January 2019 was more successful than expected as new users booked dining experiences via the BigDish app. At one restaurant over 250 people were seated over a two week period showing that BigDish is successfully partnering with restaurants to bring diners in. The Company targets at least 200 restaurants for each territory. Restaurants are selected based on their TripAdvisor rankings level of popularity and quality are on the BigDish team and are then approached by the BigDish team. A pricing strategy which is often used by businesses in the field of hospitality, air travel and tourism is yield management thereby taking maximum advantage of untapped revenue and filling empty hotel rooms and airline seats. Yield management is a tool used to it’s optimum by Hotels.com to facilitate hotel bookings bringing increased revenue for many large hotel chains of up to $100 million per year. Furthermore many airline companies, for example, American Airlines who in 2018 increased their revenue by $500 million by adopting this policy. Delta airlines by as much as $300 million per annum. 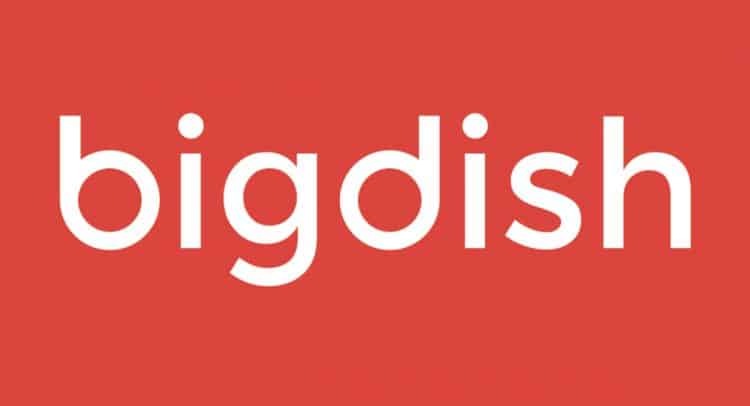 BigDish IPO’d at 4.5p in August and hit a low of 1.4p now sits at 2.32p but the newly announced CEO, (Mr Naha has held senior positions at companies such as TripAdvisor and Bookatable. TripAdvisor having grown them from 11000 to 36000 restaurants in 2 years. Mr Naha was involved in 4 tech startups which were all bought out. TripAdvisor have invested in a company using the BigDish business model which clearly validates the model. And that it is interesting to note that other big tech companies are investing in early stage restaurant tech including Air BnB. It is possible that BigDish will become an acquisition target in the future. Disclaimer: I currently hold Bigdish and all research and opinion is my own and not of the company.